Explanation: At first glance, this sharp, color close-up gives the strong impression of pebbles strewn over a sandy beach. 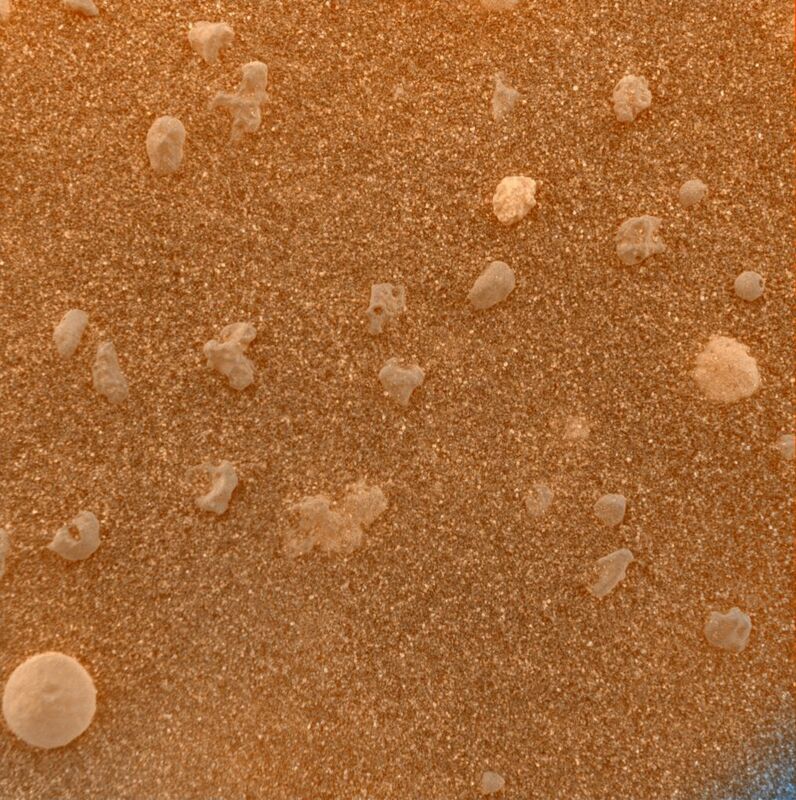 But the picture is one of the first microscopic images of another planet, captured by the Opportunity rover on its tenth sol on the martian surface at Meridiani Planum. The patch of soil measures about 3 centimeters (1.2 inches) across. 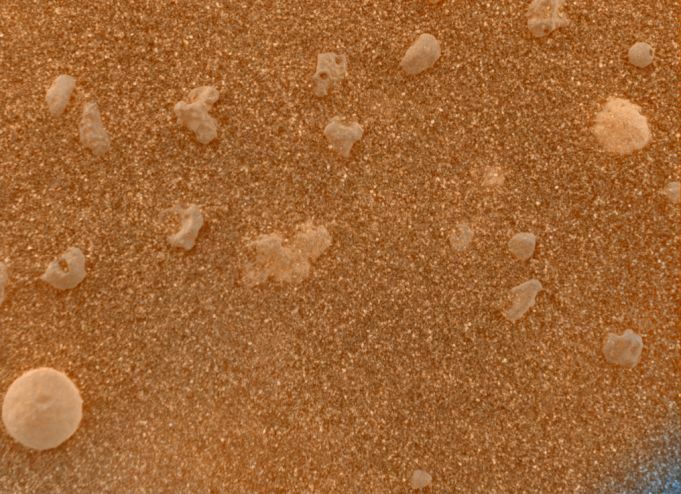 It is shown in shades approximating what the eye might see, obtained by combining pictures of the soil with and without the microscopic imager's orange-tinted dust cover in place. Searching for evidence of past water on Mars, researchers note that both volcanic and water-related accretion processes could have produced the striking circular grain at the lower left. However, other investigations now indicate the soil near the lander contains olivine, an iron-bearing mineral common in volcanic rocks, while a signature of the iron mineral hematite was found in soil around a nearby rocky outcrop. On planet Earth, hematite often forms in association with liquid water.